Have you seen the new AccuQuilt GO! Qube Mix & Match 10" Block? This is another one of my favorite size blocks to make and there is a lot you can do with this set! Today I’ll show you a beautiful Batik Diamond Stars quilt. You can use it as a table topper or a wall hanging using this fast and easy quilt block and the AccuQuilt GO! dies. Hello, it’s David and I’m going to show you how you can use the GO! Qube Mix & Match and GO! 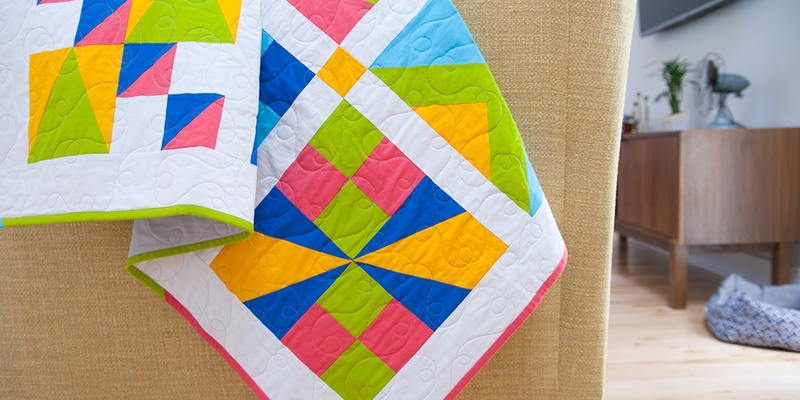 Qube Companion Sets 6" and 12" Qubes together to make some cool and detailed quilt blocks.